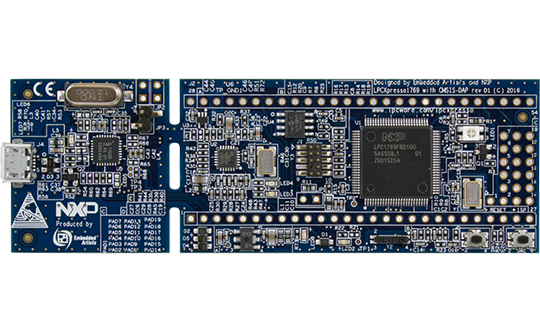 The debug interface is CMSIS-DAP compatible, meaning that it is supported by many development environments, including (but not limited to) MCUXpresso IDE, uVision from Keil/Arm, Embedded Workbench from IAR, etc. Embedded Artists recommends Richard Barry’s book “Using the FreeRTOS Real Time Kernel – a Practical Guide“, which includes sixteen examples written specifically for the LPC17xx Cortex M3. This is a concise, step by step, ‘hands on’ guide that describes both general multitasking concepts and FreeRTOS specifics. The book is purchased here.